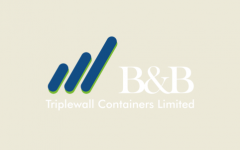 B&B Triplewall IPO Description - B&B Triplewall is engaged in manufacturing of corrugated boxes and corrugated sheets. It has manufacturing facilities situated at Bangalore and Tamilnadu. The manufacturing facility is divided into two units, both the units are engaged in manufacturing of corrugated sheets and boxes. The company mainly caters to packaging industry and has been able to develop a loyal clientele network consisting of various packaging companies and MNC’s. Majority of its revenues are from the state of Karnataka. B&B Triplewall IPO allotment status is now available on Purva Sharegistry's website. Click on this link to get allotment status.